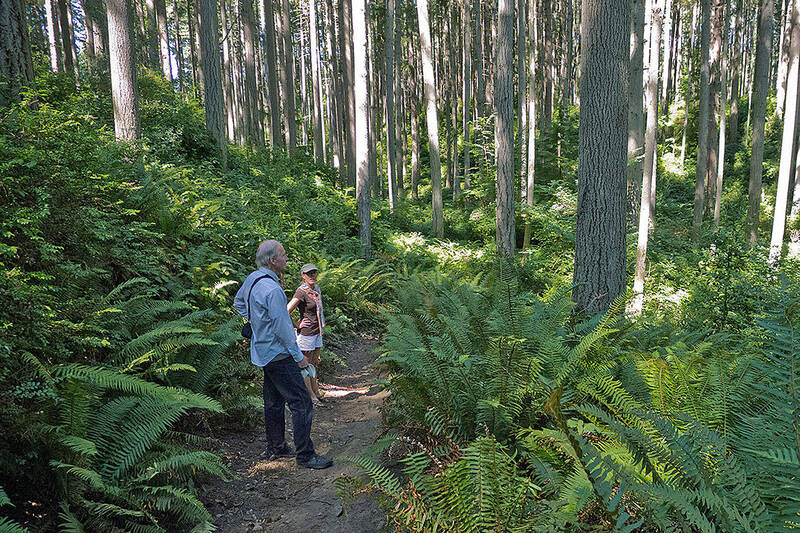 A Seattle law firm is now preparing a lawsuit against the National Park Service as a backup to settlement negotiations for the Elwha facilities. PORT ANGELES — The City Council has approved a $360,000 payment to Seattle law firm to prepare a lawsuit against the National Park Service as a backup to settlement negotiations for the Elwha water treatment facilities. Council members voted 7-0 Tuesday to authorize City Manager Dan McKeen to execute a third contract amendment with Lane Powell PC, a firm with expertise in federal litigation. The city hired Lane Powell in 2016 to help with the transfer of the Elwha water facilities from the National Park Service to the city. The firm is helping to protect the quality and quantity of the city’s water supply and to ensure the park service fulfills its obligations under the Elwha River Restoration Act to protect the city’s water rights and water supply, according to a staff memo. Since 2016, city officials have been negotiating with the National Park Service, part of the U.S. Department of Interior, over several issues stemming from the removal of the Elwha and Glines Canyon dams. Changes to the river since dam removal from 2011 to 2014 have raised the city’s cost to maintain the supply of industrial water and its potable water backup from $60,000 per year to an estimated $600,000 annually. “It’s a very important issue for the city of Port Angeles, obviously,” McKeen told the City Council on Tuesday. The contract amendment with Lane Powell raises the not-to-exceed amount to $830,500. The additional $360,000 will be taken from a special account that was set up for water treatment plant. One of the goals of the ongoing settlement talks is for the NPS to reimburse the city’s treatment plant account for funds used to resolve dam removal issues, according to a staff memo. The city had agreed to take over the NPS-built water treatment facilities after dam removal. During removal of the two dams built in 1911 and 1927, heavy loads of sediment clogged the intake at the water treatment plant, and repairs of the pumping station were required. Prior to dam removal, the city had a simple gravity system that provided industrial water to the paper mill on the foot of Ediz Hook. The new system is far more complex and expensive to operate, city officials say. The city declined to take ownership of the new Elwha water facilities until certain repairs were made. “We are not in agreement about the actual conditions of the transfer of the Elwha water facilities,” McKeen said. The city is seeking an undisclosed amount of “mitigation funding” to help offset the added costs of operations. “The other portion of it are some of the necessary things that should occur prior to taking over those facilities,” McKeen said. 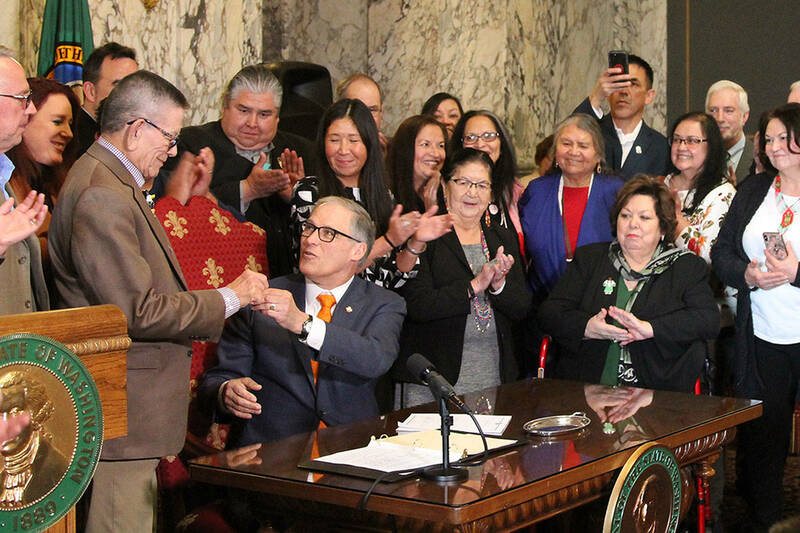 McKeen and Port Angeles Mayor Sissi Bruch recently traveled to Washington, D.C., to meet with the city’s congressional delegation and Department of Interior officials who will “make a decision or greatly influence the decision on how we can hopefully settle this issue,” McKeen said. U.S. Rep. Derek Kilmer, D-Gig Harbor — a Port Angeles native — raised the issue of the Elwha water treatment plant with Interior Secretary Ryan Zinke in a House Appropriations Subcommittee hearing on the Interior budget last month. “We really appreciate the fact that Secretary Zinke … said that he would get personally involved,” McKeen told the council Tuesday. “We have had some good back and forth with individuals from the Department of Interior and National Park Service. We’re hoping we can reach a settlement on this issue. Council member Mike French commended city staff and Bruch for their “diligent work” in communicating the city’s issues to federal decision-makers. “I anticipate an amicable settlement to this issue,” French said. Reporter Rob Ollikainen can be reached at 360-452-2345, ext. 56450, or at rollikainen@peninsuladailynews.com.